Whatever, it's not like anyone tries to move money on the first of the month or anything. You know how everyone gets paid, and then pays their rent on the first of the month? You should! Songs have been written about the importance of this day in American economic culture. And in our day and age most people use online banking as their primary interface with their own money. And May 1st is May Day, a celebration (to some) of the working people that make our country great (and the Soviet enemies who wanted to destroy it). Yoops. I hope working stiffs who can&apos;t get to their own money are taking this in stride. Happy May Day, Jamie & Co.
John Dugan is the new chairman of the world's most boring megabank. When a $36 million startup wires half its investor cash to Mauritius and the Isle of Man, perhaps you've got a problem. It's only been like 100-plus days...Hold your horses, Wall Street. Get in the tub, nerd. Kalanick's been in there for weeks! 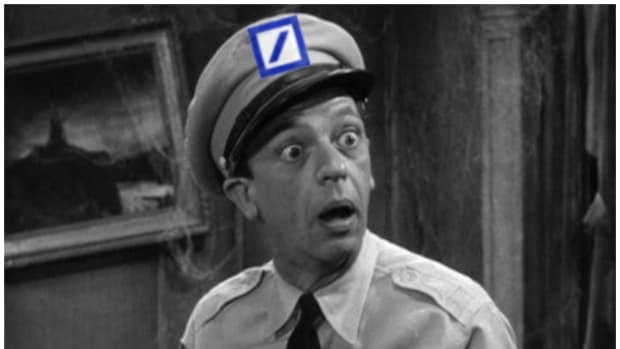 German police raid Deutsche Bank after realizing that it hasn't been fined for anything in like months. 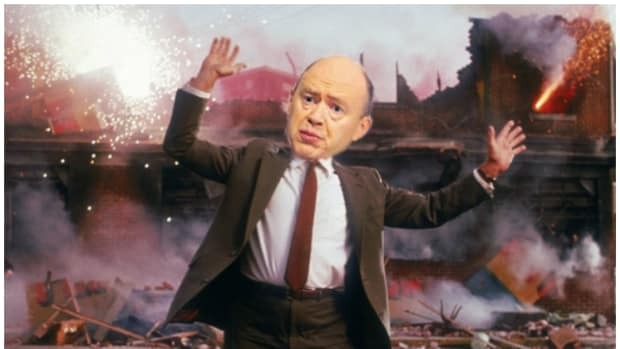 It's starting to dawn on Deutsche Bank that senior executives are pretty keen on - like - getting bonuses or whatever.